Did Yee See Us On The Telly? Hey! Did you see us on the telly? Our new TV ad, starring our brand ambassador, Chris Tarrant, has just aired on Irish TV for the first time. Mr. Millionaire himself is there to introduce just some of the many exciting lotteries we have available. 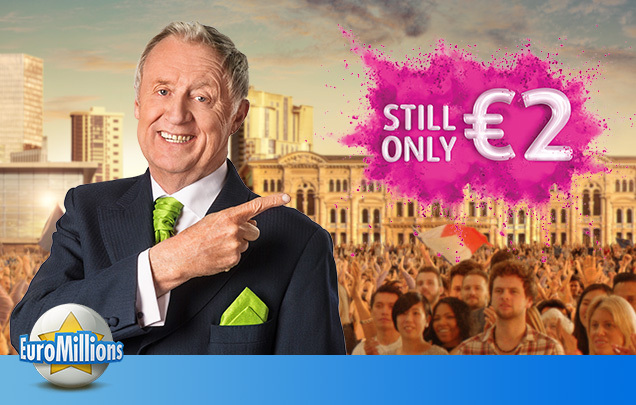 But the most important message of all is that Europe’s favourite lottery, EuroMillions, is still just €2 – but only at Lottoland. Fancy winning Friday's massive €130 million jackpot, and saving money at the same time? Then read on! At Lottoland we've assembled all the world's biggest and best lotteries for your pleasure and we've featured just a small sample of them in our new ad. There's Spain's famous Christmas lottery, a.k.a. El Gordo, the world's biggest lottery. There's America's massive MegaMillions and PowerBall, which together boast the biggest jackpots on the planet. There's Australia's Oz Lotto, the record-holder from down under, an Aussie institution for 22 years. And, of course, there's local favourite, Ireland's very own Lotto. But the star of the show this week has to be EuroMillions – and with €130 million up for grabs this Friday it's easy to see why. But here's the best bit; you know those EuroMillions changes you been hearing about? It's been in all the papers lately and players are up in arms because they're putting the price up by 50c. Well we're not having it. Instead we're freezing the price at €2 – and it's not just a temporary promotion thing either, we're doing it permanently. 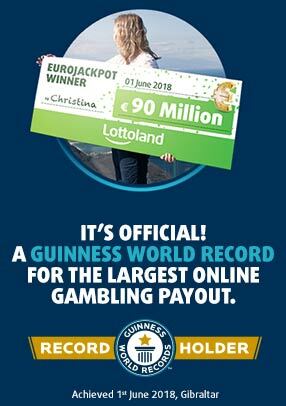 Wait – How Can You Sell EuroMillions Tickets For 50c Less? Because no tickets are involved, we're all about lottery bets. See, in the old days there was simply no way you could participate in so many lotteries from all over the world. If you wanted to win an American jackpot, for example, you'd have to be resident in America – but our lottery betting business model has changed all that. From a player standpoint it's seamless; you pick your numbers, as normal and all wins are paid directly to you, by us. Behind the scenes, though, we've got some of the world's biggest financial insurance companies in our corner underwriting those especially large payouts. That's why we're able to offer so many insanely huge jackpots! And, because we operate completely independently, we're also free to set our rates however we see fit. For example, some days we'll decide, hey, this jackpot's not big enough – let's make it BIGGER! These are called Special Jackpots and we run them quite regularly. By being independent, and by dealing in bets, not tickets, we also can offer you lower prices – like getting 20% off on Europe's favourite lottery. And why not? It's our money! Want to win some of it? Well, with a little luck and a few seconds of your time you can. This Friday's EuroMillions is worth €130 million – and Lottoland is the only place where you can still participate for just €2! How Big Is A EuroMillions Jackpot?